We have a lot of mining right in our own area, so let’s share the mines and some of the types of periodic table elements, minerals, crystals even stones that are mined and discovered from the surrounding Mojave Desert of California. Hey do you want to go mining in the California Desert? Let us start with places located near to our town of Yucca Valley and venture outwards in all four compass directions across the Mojave Desert and see what is being mined. We are amazed of the discovery of so many mines open pit, pick dug, blasted, strip mining and hole boring mines, some were early miners seeking basic elements like copper, iron, boron, titanium even manganese, magnesium, molybdenum and many other metallic elements. The more exotic elements like precious metals gold, silver and rarely platinum to semi precious stones, crystal formations are what most early Morongo Basin Mojave Desert region miners we seeking out. 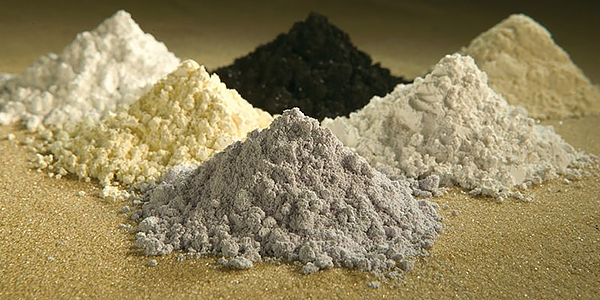 We want to share an important Mojave Desert exclusive type pf modern day important mining and that is the rarest or rare (in economically viable volume terms) REE’s Rare Earth Element. These mines we speak of and we are sharing below are not off in a single direction from our Yucca Valley location, but in fact they are in every direction north, east, south and west and these we are about to share are just some of the discovered mines. Can one just imagine, even dream a little about the unknown massive mining discoveries waiting the future generations in and around Yucca Valley? There are 34,956 Mines in California, so since we are not here to discuss the mining industry, but rather the elements within them, let’s zoom into just the county Yucca Valley and Active Atom are located within, San Bernardino County. California has currently just fewer than 3200 active mines in the whole state. There are currently 50 active mines located in San Bernardino County, but know this there are over 3100 active, inactive and mining claims in the county. California has a nickname, it is the Golden State due to the Gold Rush and Gold discoveries beginning in 1848 that helped define even jumpstart the growth of the state. California has a state rock, it is the Serpentine green, brown, spotted colors from the serpentinite rocks. California has a very rare state gem named the Benitoite. This gem is a hydrothermal altered process that produces these gems. The California reason for this selection is clear, besides being so rare you would be lucky to own one of these blue, barium, titanium, silicate, minerals, is that they have only been discovered in California. 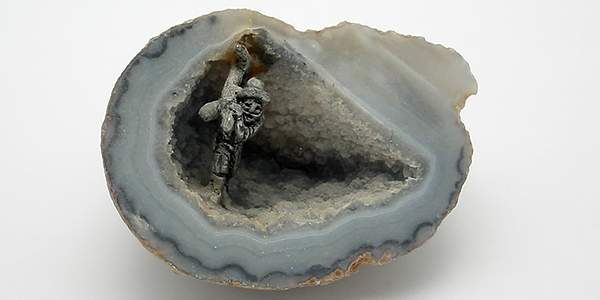 Lesser quality non gem stone grades were also discovered in the State of Arkansas, USA and Japan. Clear or white versions are even rarer then the California blue ones. They are tough to mine few samples have been discovered and these a rare 5 point crystal form, there is even rarer 6 point crystal form examples that do also exist. Lance and Patrick want to now share the mines in our own backyard some you can come explore others we are just sharing to provide an understanding about the mining activities around our area. We think that the names of these mines, many dating back well over 100 years have really neat names. One can imagine the history and the stories told around campfires, drinking whiskey and smoking cigars that come with the mines, so we thought enough to share some of them as this is not a story about gold and silver mining, but rather us sharing what helped bring two best friends forever to live and work in Yucca Valley, California. The local mine discovered near Yucca Valley is the Red Cabin or Rattlesnake Canyon and Rattlesnake Placers Mines. Located just north out of Yucca Valley off to the west of State Route 247 you will find this mine. There is the California Hercules Mine in Landers, California (just north of Yucca Valley) a small area of light population and home to the world’s largest free standing boulder Giant Rock. Here are some additional mines in Yucca Valley just to share some names. Open or not active or inactive we do not know. Mines located directly west of Yucca Valley are in the Morongo Indian Reservation we share two names. Mines located directly west of Yucca Valley are in the Cabazon Indian Reservation we share nine names. Mines located directly south of Yucca Valley are in the City of Desert Hot Springs area and we share two names. Listed are two claims and mines; however research shows that there are 775 mineral deposits in the Twentynine Palms city area. Two mines discovered in close proximity to one another are in an area east of Yucca Valley in Twentynine Palms south of the Twentynine Palms Marine Base and the two mines are located north outside the Joshua Tree National Park. These mines are pick cut mines and the primary discovery is gold. Located 27 nautical miles from Yucca Valley. Inside the Joshua Tree National Park is well preserved and people in the mining history world say it is worth the visit. The mine had two names Old Dale Mine and New Dale Mine. Since 1881 mining begins in 1884 the town is built right along what is now State Route 62 and in 1910 New Dale replaces Old Dale. This gold mine created work and a town for 3000 miners, the actual mines were just up in the hills south off State Route 62 east of the City of Twentynine Palms sits these abandoned mines that were worked here and there until 1940. Something about the nearby Supply Mine is mentioned, but these are old mining operations and nothing is extracted from them anymore, this is fine we are sharing about what is in the ground surrounding our home and business in Yucca Valley. Located 37.5 nautical miles from Yucca Valley. A modern day rediscovery of an old forgotten mine in the Dale Mining District has gained great excitement from these two desert dwellers with the reopening of a strip mine the Iron Age Mine located south of State Route 62 just east of the Dale Mines in the Pinto Mountains, this is a vein deposit in granitoid rock, this mine is to remove iron (Fe) the element is a 65% grade utilized in the making of cast iron and steels. Just a note in regard to the Iron Fe element, there is a mine farther north of the Iron Age Mine named the Beck Mine in the Kingston Peak Formation Iron Deposit area near the Nevada state line and north of the Interstate 15 Freeway that too mines Iron ore with a near similar grade of 66.5% however this company discloses that they also come across many other elements and Amethyst, Garnet, Pyrite and many others. In Twentynine Palms there are another documented 7 mines in the city and out north from the city along with another 20 in the foothills and mountains south of the city. 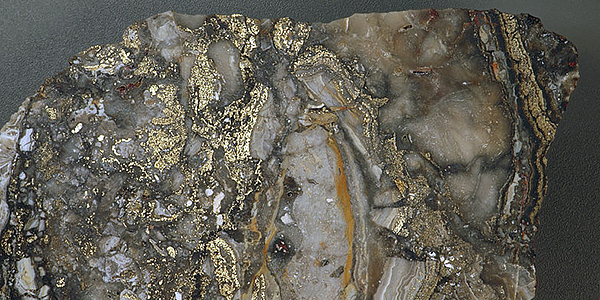 These mines range in mined discoveries mostly crystal minerals, Granite, Quartz and quartz crystals great to discover precious metals within, sodium and borax from the dry lakebed just east out of Twentynine Palms are mined here also. 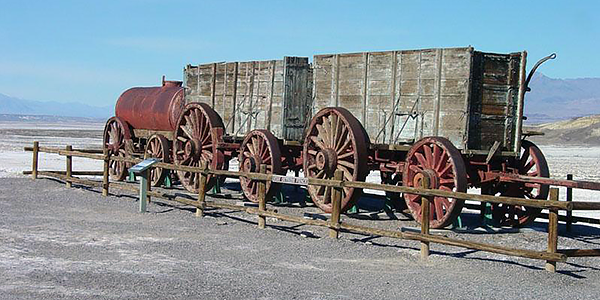 Located on the south side of the Joshua Tree National Park from Yucca Valley north of the Interstate 10 Freeway and the area named Desert Center this particular mine is located near Eagle Mountain and the Eagle Mountain Iron Mine also referred to as the Kaiser Mine. Located about 55 nautical miles from Yucca Valley. This mine is an open pit mine measuring a half mile wide by one and half miles in length and though this iron mine is closed 1981, it was the supplier to the Kaiser Steel Foundry. This iron ore mine was the largest iron ore mine in Southern California. This area and old abandon town is a California Ghost Town. Located about 60 nautical miles from Yucca Valley there is little 10 freeway stop a restaurant and a gas station some folklore about this area, as well as the Chuckwalla Valley Raceway and the Desert Center Airport. 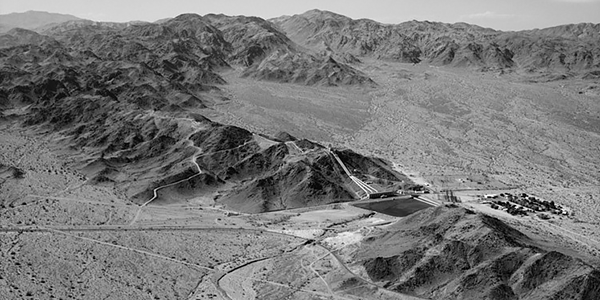 The Eagle Mountain Mine is northwest up into the mountain from the 10 freeway and Desert Center. Mines to the northeast of Yucca Valley and there are many with names like the Yucca Queen mining for Lead and Silver and the Yucca Palm Group Mine where Gold is mined, they are both very near the California Nevada Stateline and they are both really close to an important mine to Active Atom and the two guys the MP Mine Operations. 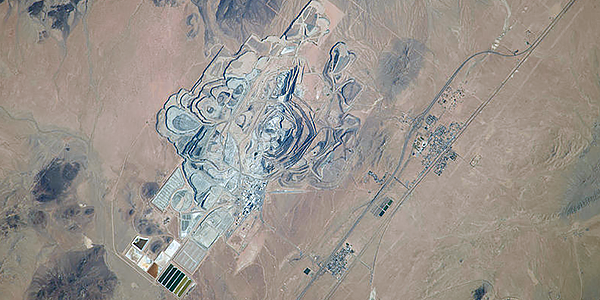 These mineral spring mines are located in the lower Colorado Desert. Not actually mines, but they are a form of mining, they are hydrothermal vents (hot springs or thermal springs) their heat and pressure bring minerals to near surface. The closest hot mineral springs are located about 20 miles southwest of Yucca Valley in the City of Desert Hot Springs and they appear again once or rumored twice in Palm Springs about 27 miles from Yucca Valley, then one more time at multiple places as mud pots in the Salton Sea area about 84 miles from Yucca Valley. Hydrothermal activity is the result of water under pressure and heat forced through cracks in the earths crust from near surface magma chambers below the earths crust and or mantle and these cracks perform as vents for mud, steam and hot water to rise out of the crust as natural pressure release valves. What make these activities similar to a mine are the metallic elements and minerals that rise through this heat and pressure. What occurs next is when this hot mud and or water brought to the near surface, minerals are dropped into depositions into cracks and voids nearer the surface areas surrounding these hot springs, these minerals cool, there are as well deposits around the surface collar areas of the hot spring vents where mineral solidification cooling occurs. Located 118 miles northwest from Yucca Valley. The Rio Tinto Borax Mine. 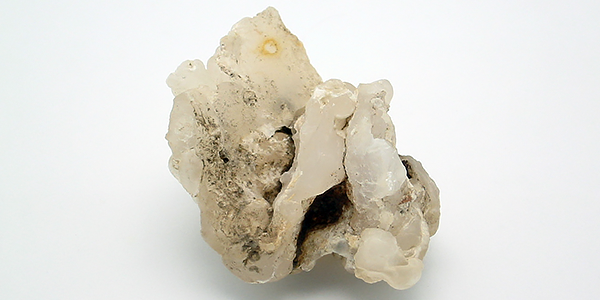 Rio Tinto Minerals used to be named US Borax. 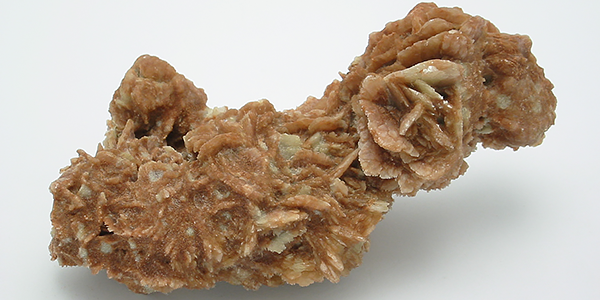 Borax and the Boron discoveries in the Mojave Desert. 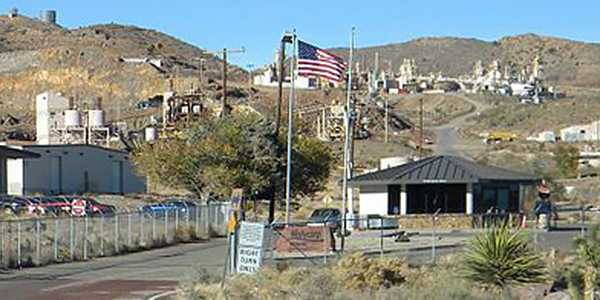 Welcome to Boron, California, this is not a city or town but rather a (CDP) census designated place with a population of just under 13,000 residents located in 13.82 square miles of area. This area is home to the Rio Tinto Minerals / US Borax Boron Mine. The discovery here took place by accident while drilling water well in 1913 with the discovery of Colemanite a Borax Ore Sodium Tetraborate Decahydrate is the actual compound with uses such as laundry detergent, polishing compounds used at Active Atom, gold extraction (replaces mercury), fire retardant, blacksmithing at Active Atom it is used for heat treatments, cosmetics and enamel glazes. This mine supplies half of the world borates. California is the only state to mine Boron B Atomic Number 5 black brown in color. Finally our top priority number one mine in California, we my friends are now going to share the great and powerful REE Rare Earth Elements open pit mine. Located 158 miles northeast of Yucca Valley. Before we get to our true mining excitement, let’s share one other mine with an unusual element Antimony SB it is silvery lustrous grey in color like shinny silver it is Atomic Number 51 a metallic mix with lead and tin to make battery plates creates microscopic bubbles in glass for screen etc. The Antimony Mine is nearest the Mountain Pass Mine Operations. These mountain pass mines are what we really want to share, located just to the north off the Interstate 15 Freeway that runs across California, this major highway and mountain pass allows most of Californian’s a path to Nevada and Las Vegas from all of Southern California. The Mountain Pass Mine is about 20 miles from the Nevada State Line. The mine is a particular location off of this freeway that is of very important interest to Lance and Patrick like most all Americans. Here is our top mine an open pit mine that is well an (REE) Rare Earth Elements mine also along the Interstate 15 Freeway passed by millions of automobile annually. What you will find here is a small unincorporated community named Mountain Pass just up off of the Interstate 15 Freeway. Mountain Pass is at an elevation of 4.730 feet above medium sea-level and Active Atom and the Town of Yucca Valley are at an elevation of 3,369. Mountain Pass is something to look up to with a height advantage to us at a difference of 1,361 feet. 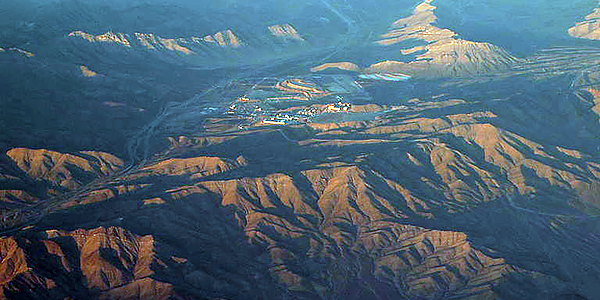 This mine is the main US Mine Operation for the (REE) Rare Earth Elements for the United States. The elements are not actually rare they are however rare in discovery in volumes of materials at an economical mining (ROI) Return On Investment and with modern times in a world awash in technology the elements discovered here in the 1950’s are of the most strategic importance to the safety and security of Americas future and are utilized in most of our daily lives from products to medical. How did San Bernardino end up with the highest minable volumes of REE’s? The two ages of rock formation types for the exact spot of the Mountain Pass Mining operation are Mesozoic to late Proterozoic sedimentary and volcanic rock to the western side of the mine and Proterozoic Plutonic and Metamorphic rock to the east and there is slight Mesozoic Plutonic rock northeast of the mine as well as a larger discovery due south of the mine. What we are saying above is that forces through tectonic, magma, thermal movements and pressure activity uplifted earlier materials into more geologically newer surface materials creating a treasure trove of element and mineral discoveries. REE mining exerts from two different geology reports are shared here. A 1.4 billion year (est.) geological activity likely created this mines elements and the many mines in northeastern San Bernardino County. 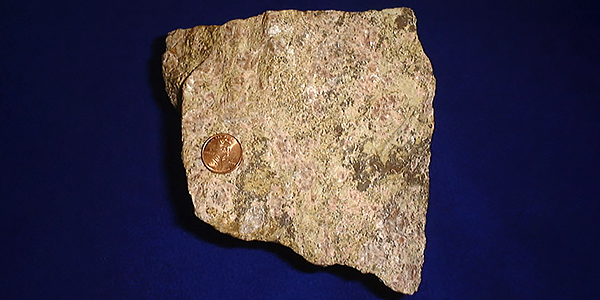 Though there is some evidence of a period of Ultrapotassic Rock intrusions with even more evidence of miner amounts of these elements arriving through the Early Proterozoic, major mineral deposition occurred to this rare earth area and discovery from the Mezozoic and late Tertiary ages. The ancient Precambrian carbonatite intruded into Gneiss and as a result this contained 08% to 12% rare earth oxides appears likely according through geology reports shared. There are 4 main metallic elements extracted from the MP Mine. Cerium Ce Uses ars ceria are production of high quality optic surfaces. Lanthanum La Uses are in batteries nickel-metal hydride batteries. Neodymium Nd Uses in rare earth magnets in electronic applications. Europium Eu Uses are red phosphor in glass florescent glass and quantum memory chips. There are many more uses and many other elements mined from the Mountain Pass community in San Bernardino, but we just wanted to share some of what we get out of bed for, besides machining products and designing electronic products each day.